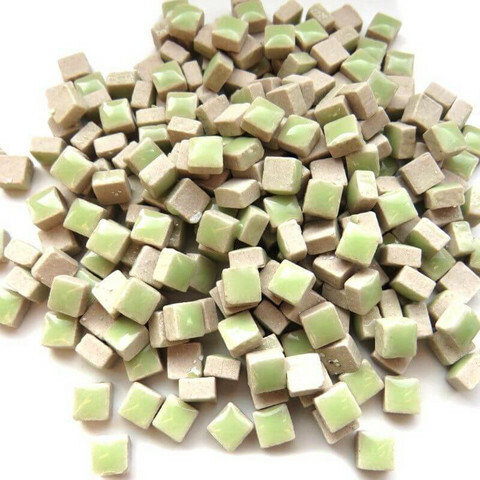 Very small, ceramic mini tiles. Piece is thinner around the edges, giving the illusion of three-dimensional. Ideal for jewelry, dollhouse interiors and miniature pictures. Not frost-resistant. Pack size: 20 grams, about 110 pieces. Size 5 x 5 mm, thickness 3 mm. Covers approx 6 x 6 cm area.